Radio Recall is a community interaction and micro broadcast; this work-in-progress is being tested in the Old Lookout, Broadstairs, collecting and rotating past and current radio memories collected from members of the general public through an ad-hoc and expanding collection of radio receivers. The piece developed from a radio art workshop held on the 30h August 2013 in which a small group of volunteers interviewed local people and visitors to Broadstairs to gather their memories of radio. 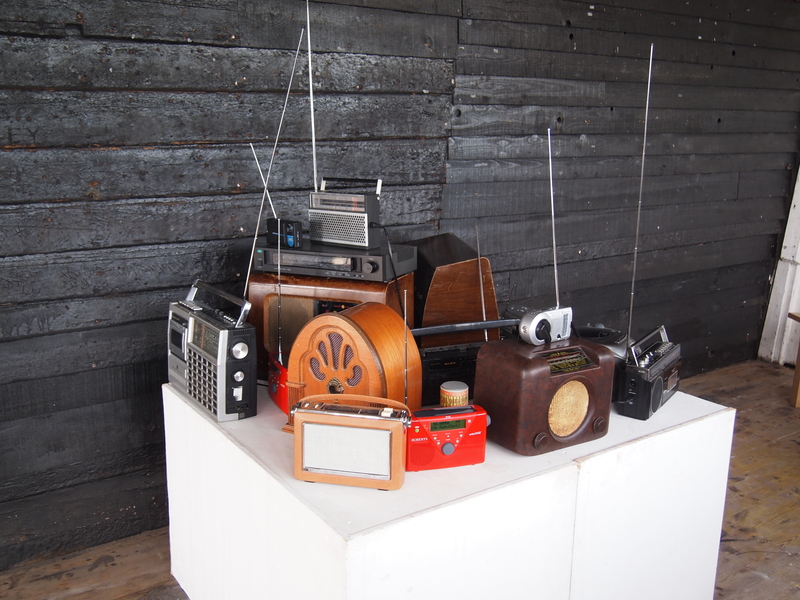 These were edited by the artist and are being broadcast within the space on FM through a selection of vintage radios. 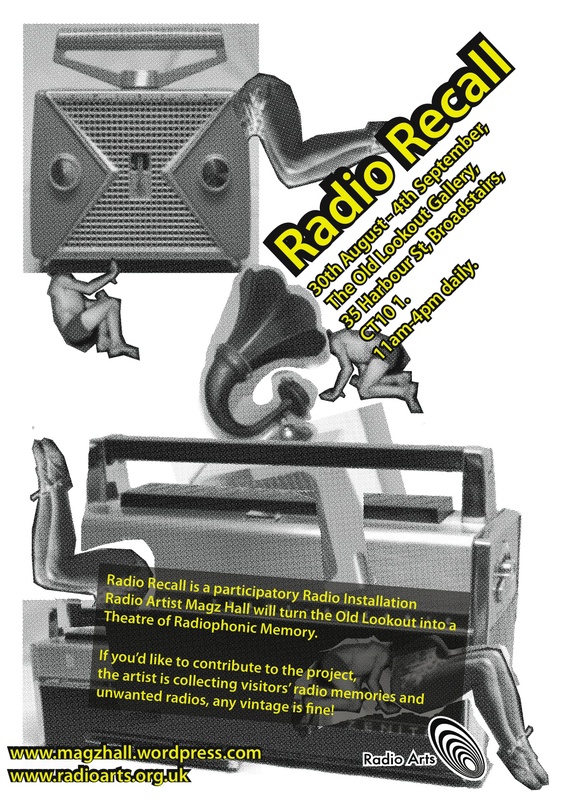 As an ongoing work visitors are invited to add to the collection of radios should they have an unwanted FM radio to donate, and the artist would like to encourage visitors to share their own radio memories in order to contribute to the work as an expanding archive of radiophonic memory. The artist aims to develop Radio Recall into one of the eight speculative ‘trace stations’ that will comprise ‘Switch Off’, an experimental surround-sound Radio Play that imagines the sounds and novel uses to which the FM spectrum will be put following the proposed (and deferred) ‘analogue switch off’ of terrestrial FM broadcasting. As it has been suggested that OFCOM may leave the FM band to community radio in the UK following switch off, Radio Recall presents a community station in which citizens can reminisce and share their memories of past technologies. 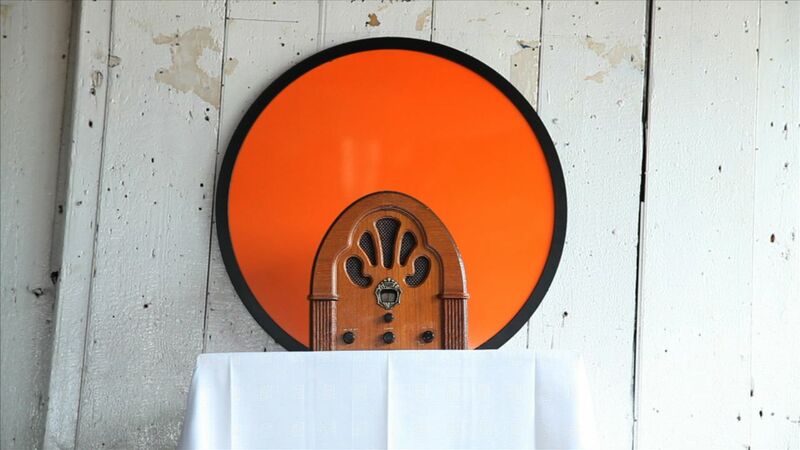 The contemporary radio memories collected and presented in this installation encourage the listener to speculate upon how future communities may come to convey their memories of our present. The memories and recollections that comprise Radio Recall will punctuate ‘Switch Off’ alongside the other seven trace station experiments and installations that the artist has been developing over the last three years through installations, interventions and performance.